Well that’s an apt statement truly depicting man’s present suffering based on his previous actions of non-judicious use of resources. Change is the law of nature and the earth has witnessed it for billions of years. As it was a natural and gradual process then, so the ecosystem could adapt to the change without any adverse impacts. But the increased human interference in the present times has disrupted the natural balance. Climate change is a consequence of the same and is having far-reaching and catastrophic social impacts affecting communities in different ways. People in developing countries are making little or no direct contribution to climate change but are likely to be among the most affected. And India lies under this same category. According to me, health implications of climate change are one of the biggest social impact of climate change. Climate change has increased experiences of heat stress, injury and death from natural disasters (such as floods and windstorms), vector-borne diseases (such as malaria, dengue, schistosomiasis and tick-borne diseases), water- and food-borne diseases. The elderly and women are likely to be disproportionately affected by the increased disease burden. In developing countries like Africa, where severe health problems such as malaria, HIV/AIDS and hunger-related diseases are already widespread, the added health implications of climate change are likely to result in an increase in human mortality. Rising temperatures may increase risks associated with aquatic pathogens in important fisheries, and accelerate the spoiling of food and meat. As an example of community at the frontline of health impact and adapted to such problems, I will talk of “Vidarbha farmers” who faced the outbreak of Chikungunya in year 2006 that rightly indicts “Climate Change as the biggest global health threat of 21st century”. The cotton growers in Vidarbha, a region of the state of Maharashtra that is popularly known as India’s cotton belt, have been hard-hit in recent years by plunging cotton prices and the rising cost of fertilizer and other inputs. Crushed by mounting debts, thousands of peasants have committed suicide. And these woes were aggravated by extensive drought followed by floods, which have devastated crops and precipitated an outbreak of “Chikungunya” viral fever. The water-borne Chikungunya virus is spread to humans through the bite of mosquitoes. It causes high fever, headache, severe joint pains, a rash, nausea and vomiting. Although Chikungunya victims generally do not die, the infection can and does cause fatalities among those already in poor health. 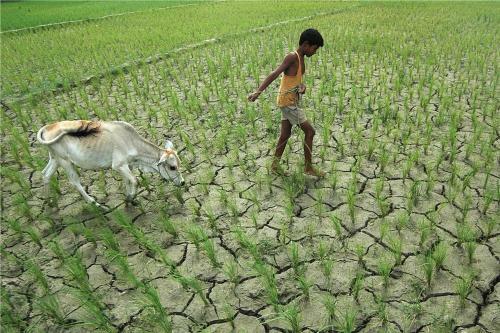 According to doctors, “People’s immunity has gone down due to less food intake,” and the outbreak of disease and its epidemic proportion is linked to the declining food intake of Vidarbha’s farming families. This amounted to death of close to 200 people in Vidarbha alone. The situation turns even more grave with tens of thousands of farmers not able to afford proper medical care and this is the hidden face of the crisis. There are many such impacts, living organisms are facing at present because of their own past deeds. This piece was written as an entry requirement to YUVA Meet, 2010. Watch this space for a series of many such problems from across the world. PrevWishing You All A Very Happy and Thoughtful Holi! Something to think about. But scientifically the causality between environmental changes and diseases and health impacts is very difficult to establish.